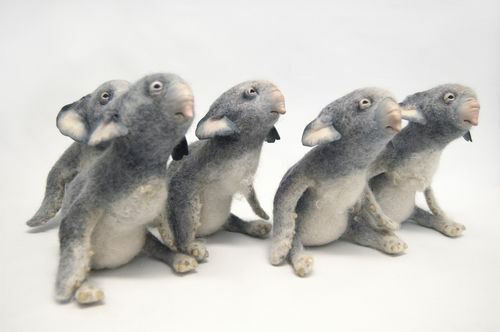 In her felt and mixed media sculptures Karina Kalvaitis combines attributes of different animals to make odd and loveable creatures that are familiar yet strange. Made in small limited edition "litters" each creature is a unique character that has a presence that far surpasses its size. 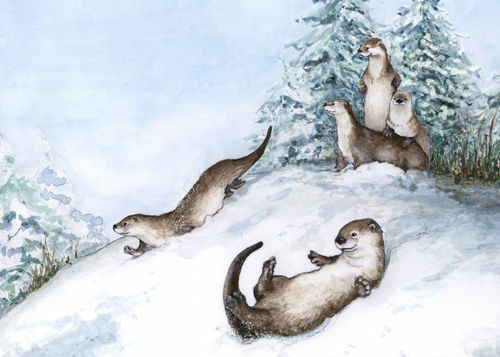 In her illustration line Karina makes playfully fanciful watercolour paintings of animals interacting with each other in unexpected ways. Images are available as single cards, card sets and posters.